How simply adorable! You know she wants to follow in your footsteps...this jacket may help! The embroidered teddy on this jacket is so cute - she'll never want to take this jacket off. 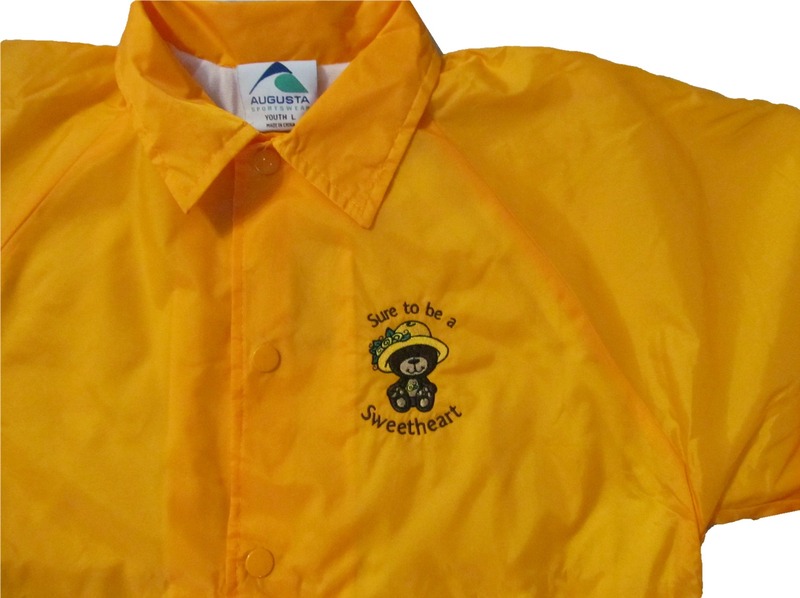 It definitely helps that "Sure to be a Sweetheart" is embroidered around the teddy. Add double-color stitched "FUTURE" letters down the right side or add a name underneath the little teddy to customize it even more! * Click on the pic for a larger view.